I discovered this recipe at my local Cypriot cheese maker. 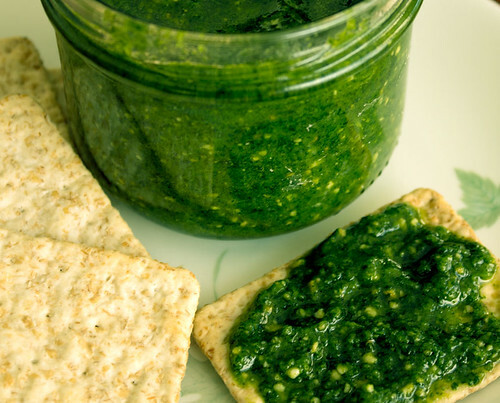 The key is the base and you can always substitute your favourite fresh salsa as the topping. The photo shows just half the recipe. Mix cream cheese and sour cream together. Spread on platter. 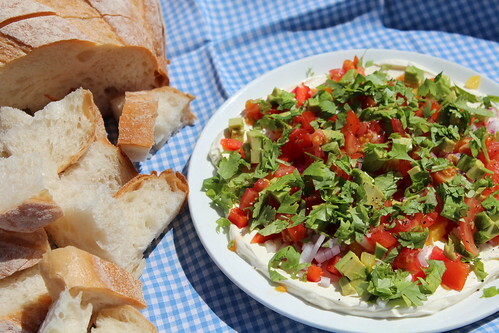 Layer the red onion, tomatoes, capsicums, and avocado over the cream cheese and sour cream mixture. Drizzle the sweet chilli sauce over the top. Sprinkle with the coriander and serve. This dip is firm enough that you could serve it on a cake platter for great effect.